If I miss a class can I drop into another time slot? In order to provide the best training, all participants are asked to commit to one time slot for the season. However, life happens! Should you wish to sub into another class time, we’ve created space in each class to allow for this. Please notify Jason or Eric if you have plans to attend an alternative session time. I’m traveling for X, what can I do about that? Our goal is to provide consistency in your training program. If you plan to be away, please give your trainer notice. You will be provided guidance for your training while you're on the road. Yes, the MTBdryland program is an excellent training tool for men and women. The classes are welcoming, and we encourage all riders passionate about improving their fitness and riding performance to join in. I have a (insert injury here), can I still participate? Due to the nature of mountain biking(and life in general) injuries can happen. While the program is designed to help prevent injury and improve recovery times, I am also committed to safely working around injuries with participants in order to allow them to continue to improve their strength and fitness. Am I too old/Am I too young for the program? BONDtraining work’s with athletes from 14 yrs - 80 yrs+ old. I do a little bit of mountain biking but I am more focused on (insert sport here - XC, Cyclocross, Road), could the program work for me? YES! 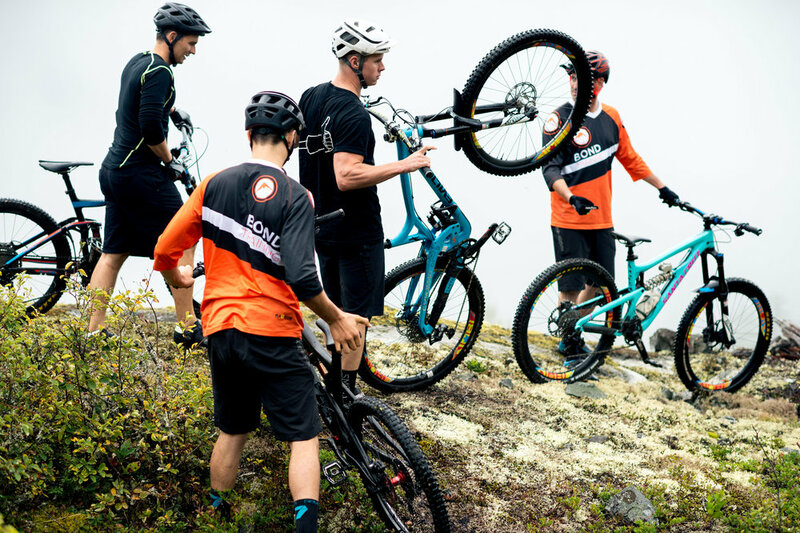 While the program is designed for MTB athletes, this is an excellent and efficient form of cross training that benefits all cycling disciplines. My level of fitness is at 'X' level and I’m concerned I won’t keep up. Should I still join the program? Yes, we are committed to working with each participant to help them achieve their personal best. Let’s get started.